What it is: Samsung announced a foldable phone that acts as both a smartphone and a tablet. Samsung announced the Galaxy Fold, a $1,980 smartphone that folds open to provide a 7.3-inch screen that’s comparable to a mini-tablet. While Samsung isn’t the first company to announce a foldable phone, they’re the first major company to do so. The future of smartphones are foldable phones. As smartphones keep getting bigger, the larger screen makes them difficult to carry easily. Carrying a tablet with a smartphone isn’t practical for most people, so it’s easier just to lug around a large screen smartphone instead. While the Samsung Galaxy Fold looks impressive, its price is far too high for most people, which will limit its adoption. Having the most advanced technology in the world is useless if people can’t afford to buy them. If any computer company wanted to sell the fastest computer in the world, it’s easy to build a supercomputer. It’s far more difficult to get more than a handful of people to buy them to make it profitable enough to manufacture. 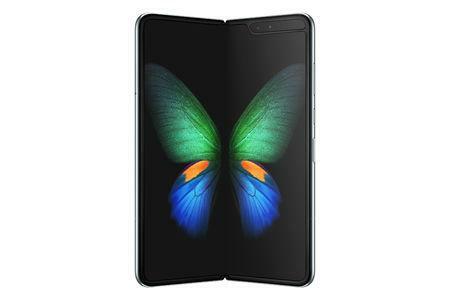 The Samsung Galaxy Fold is simply a marketing gimmick to lay claim to one of the first foldable smartphones on the market. That’s no different than being one of the first makers of MP3 players or one of the first makers of Blu-ray disc players. It’s nice to be first to offer advanced technology, but what ultimately matters is whether people will use it or not. Apple is likely developing a foldable phone as well, but they won’t release it until the price comes down. Just as large screen smartphones were once considered luxuries, but are now considered normal, so will foldable smartphones change form luxuries to ordinary items within a few years. Until that time, the Galaxy Fold will remain an interesting product that was too far ahead of its time to achieve mass adoption. Of course the goal of the Galaxy Fold isn’t to sell many units but to lay claim as one of the first foldable smartphones. That’s a nice claim to have, but ultimately it’s a meaningless one. Anyone remember the first smartphone that came with a touch screen? (It wasn’t the iPhone.) If nobody remembers the first smartphone with a touch screen, a few years from now, will anyone remember the Galaxy Fold? Maybe, maybe not. In either case, nobody will buy the Galaxy Fold until the price comes down and the technology becomes cheaper to manufacture. Sometimes being first isn’t an advantage after all. To learn more about the Galaxy Fold, click here. What it is: Vuzix is introducing smart glasses with augmented reality. Many companies will try to release smart glasses following in the wake of Google Glass. The big problem all of them will face is that they solve no particular problem. Because they don’t solve a pressing problem, there won’t be a rush of customers clamoring to buy one. Just look at the virtual reality (VR) craze that went nowhere, or the 3D TV fad before that. Technology that exists solely for its own sake will always be doomed to failure. Technology exists only to solve problems. The Palm Pilot solved the problem of keeping track of details like contacts and notes, so it was far more convenient to use than lugging paper and pencil around. The Palm Pilot morphed into a smartphone that offered the same features except with the added ability to make a phone call. The Palm Treo smartphone proved popular for a time, right up until Apple introduced the iPhone, which solved the problem of displaying a screen and controls by replacing both with a touch screen interface. When you look at numerous companies introducing smart glasses, ask yourself what problem does it solve that can’t be solved by today’s technology? That silence you hear for an answer is what companies like Vuzix are failing to answer because they’re too busy rushing to develop new technology without once stopping to think what problem does it solve. One common feature smart glasses keep trying to introduce is the ability to pair with a smartphone and receive notifications directly on the lenses. If you thought getting distracted by looking at your phone while driving could cause accidents, imagine driving while wearing smart glasses and getting email and message notifications directly on your lenses. Think that won’t cause more than one accident? The huge problem smart glass makers are trying to solve is to morph a smartphone into smart glasses. That makes as much sense as morphing a smartphone into a wearable computer. The Apple Watch isn’t succeeding because it mimics an iPhone on your wrist, but because it offers real-time health monitoring, which is clumsy to do with an iPhone. Likewise, smart glasses won’t succeed because they duplicate the features of a smartphone but because they offer features that a smartphone does not offer. The real purpose of smart glasses is simply enhanced vision, replacing physical lenses with adjustable magnifying lenses through computational photography that’s already available in the iPhone camera. The only trick is getting the camera lenses small and light enough to fit within an ordinary eyeglass frame. Vuzix’s smart glasses are simply a product in search of a solution, which means they’ll crash and go bankrupt shortly or give up their smart glasses altogether. When smart glasses offer something that today’s smartphones can’t offer, that’s when smart glasses will finally have arrived. Until then, we’ll have to wade through a parade of useless smart glasses pointlessly trying to mimic smartphones for no good reason at all. To read more about the shortcomings of Vuzix’s smart glasses, click here. What it is: Apple announced that Frank Casanova will be the Senior Director, Worldwide Product Marketing at Apple Augmented Reality. Augmented reality is interesting but so far, it’s not a game-changer. The main problem isn’t the technical limitations but the human imagination in focusing augmented reality to solving a pressing need. Technology only works when it can solve a problem better than existing technology can. Word processors replaced typewriters because they could make editing faster and easier. Mobile phones replaced landline phones because they’re far more convenient to have a phone with you at all times. By promoting a corporate executive to lead Apple’s augmented reality marketing, Apple is showing they’re serious about pushing augmented reality. However, all the marketing in the world won’t do any good if people don’t see that augmented reality has a use. That’s why Apple needs to focus on a single problem that augmented reality can solve, which is enhanced eye sight. Right now, the current technology to improve eye sight involves glasses, binoculars, microscopes, telescopes, and contact lenses. All are bulky and must be used together. For example, eyeglasses help people see who have poor vision. If people with eyeglasses want to see far away, they still need to binoculars. 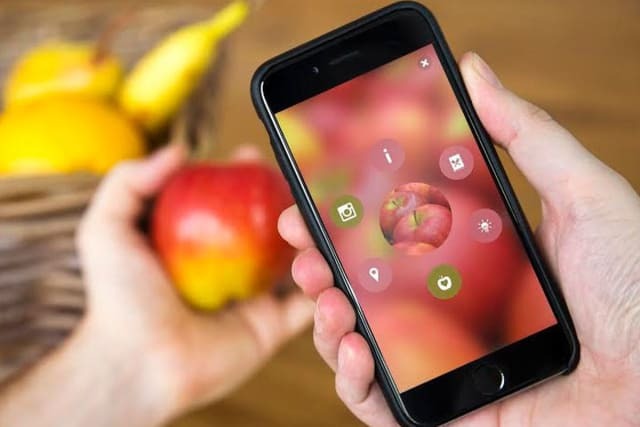 Ideally, augmented reality will simply use computational photography) used in the iPhone camera) to make smart glasses that can adjust magnification. Now a single pair of smart glasses will replace eyeglasses, binoculars, and microscopes for seeing far, near, and ordinary distances. Hiring someone to lead marketing for augmented reality is pointless unless Apple also focuses on using augmented reality to solve a simple but pressing problem that people can recognize immediately. Augmented reality is nothing more than enhanced vision and once Apple comes out with smart glasses that enhance vision, they’ll be well on their way to success. To learn more about Apple’s latest corporate promotion in augmented reality marketing, click here. What it is: HomePod is mostly focused on superior audio quality, but Apple’s latest patent shows the future of HomePod. Right now, there’s little reason for most people to buy and use Apple’s HomePod smart speaker. HomePod works great as a speaker for playing music, but unless you’re an audiophile who demands the best audio quality, HomePod’s purpose is fairly limited for the price. That’s why Amazon’s much cheaper smart speakers are far more popular. Right now, HomePod represents a first-generation smart speaker that offers hands-free computing through Siri. Beyond improving Siri to be more accurate along with the ability to detect emotions, Apple is proposing two major new features to HomePod that could help it break out from the crowded smart speaker market. First is the ability to detect hand gestures. Right now, HomePod is mostly limited to voice control and limited touch gestures, but hand gestures would let you control HomePod from a distance through different hand movements such as raising your hand up or down to adjust the volume. Since Apple acquired the company behind Microsoft’s Kinect that could detect motion gestures, this feature should be easy to implement in the next version of HomePod. A second new HomePod feature will be providing visual feedback through colors in the mesh of the HomePod exterior. These colors could change to show when it recognized your voice or hand gesture, or they could display limited amount of text. Today’s HomePod is an interesting start, much like the first generation of the iPhone was an interesting start. By adding hand gestures, emotion detection, and color visual feedback, HomePod could gradually become far more useful than just offering superior audio quality. Apple still needs to define the main reason to use HomePod and hands-free computing. Right now the Apple Watch offers real-time health monitoring, which was impossible to achieve in the past. What can HomePod offer that offers a solution people will want that they can’t get through current technology? Until Apple figures this out, HomePod will remain an interesting but expensive toy to study as it gradually evolves into a useful product for everyone. To read more about HomePod’s potential upcoming features, click here. 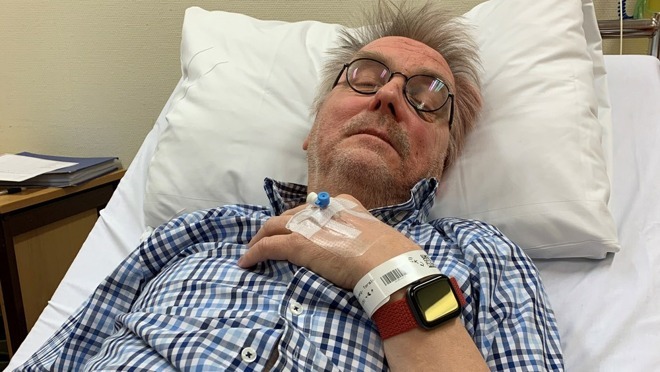 What it is: An Apple Watch detected a man’s fall and called for help. 67-year-old Toralv Ostvang fell in the bathroom, fracturing his face in three places. Fortunately, Toralv was wearing an Apple Watch that detected his fall and automatically called for help when it detected Toralv was not moving after the fall. Emergency crews responded to the Watch’s alert beacon and said he would likely not have survived the night if he hadn’t received immediate help. That means the Apple Watch helped save one man’s life and its automatic fall detection feature will likely save many more lives in years to come. Because of its fall detection feature and other health-related options, the Apple Watch is ideally suited for senior citizens. By providing help when the wearer is unable to do so, the Apple Watch can save lives. While the Apple Watch is ideal for senior citizens, it can also be used for younger people to track their physical activity and urge them to stay active during the day. Sitting in one place is extremely harmful to one’s health so younger people can use the Apple Watch to monitor their physical movements. The Apple Watch’s main purpose is simply real-time health monitoring, which can literally save lives. As the Apple Watch gains more features such as non-invasive glucose monitoring, it will continue offering health benefits that were too expensive or impractical to track with current technology. The Apple Watch is a huge success simply because it has a clear purpose to monitor health. 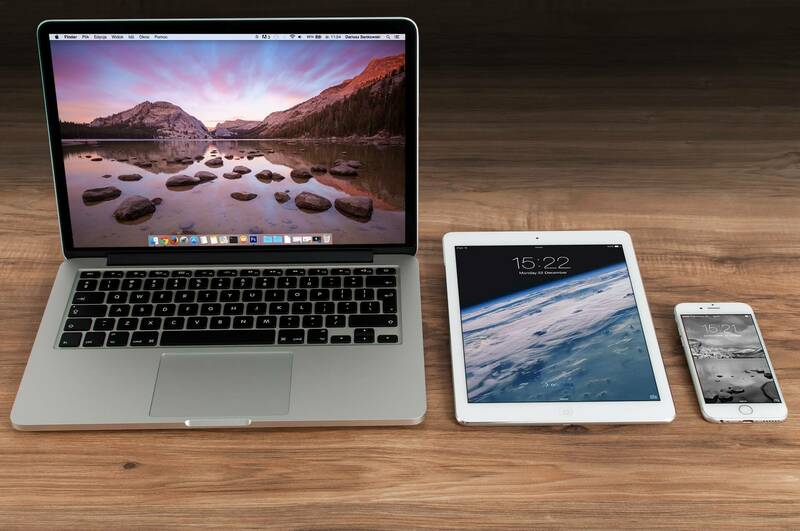 What Apple needs to do with their other products is define an equally important purpose. Anyone know what’s the one compelling reason to use HomePod? HomePod offers hands-free computing, but beyond that, what purpose does it serve to solve a problem that other products can’t do as well? The lack of a clear answer is the reason why HomePod isn’t as popular or profitable while the Apple Watch continues growing in popularity and importance. If you don’t have an Apple Watch yet, get one or something similar to track your health. A wearable computer like the Apple Watch could one day save your life. To learn more about how an Apple Watch saved one man’s life, click here. What it is: Three augmented reality firms have failed recently. For a while, augmented reality was the latest technology trend much like 3D TV and Blu-ray DVDs. However in the past year, three prominent augmented reality startups have failed: Osterhaut Design Group (ODG), Meta Company, and Blippar. The reason is simple. Augmented reality glasses are too expensive, too bulky, and fail to solve a specific problem. New technology always exists to capture that gee-whiz hype prominent at the Consumer Electronics Show (CES) where technology is promoted for the sake of novelty. However the purpose of all technology is to solve problems. Ideally, new technology solves problems faster and more efficiently, but the best technology solves problems that were impossible to solve with current technology. The telegraph was simply a faster version of the Pony Express, and the telephone was simply a faster version of the telegraph. What the telegraph offered over the Pony Express was reliability. What the telephone offers over the telephone was interactivity. A telegraph sends a message one way. A telephone allows two-way conversation instantly. Smart phones are nothing more than mobile telephones. They solve the problem of not being reachable when others need to talk to you. Once mobile phones became popular, smart phones defined by the iPhone took over and got rid of the unwieldy mix of tiny screens, slide out keyboards, and physical buttons. So technology always improves on existing solutions but offers something that current technology can’t do as well. That should be simple to understand but all those failed augmented reality companies didn’t grasp this concept. Instead, they devoted time and money creating gee-whiz technology that looked impressive but failed to solve any particular need. With smart glasses, the most obvious glaring need is to replace eyeglasses. People wearing eyeglasses are already using augmented reality in the form of physical lenses. Replace those lenses with computational photography found in smartphone cameras and you’ll have a light weight lens that you can adjust the magnification for close or far away. Get the weight down to the weight of an average pair of eyeglasses, keep the price reasonable, and if smart glasses can replace traditional eyeglasses, there’s an instant solution right there. Smart glasses don’t need to display directions or ads in front of someone’s eyes, nor do they need to duplicate a smartphone’s purpose in a pair of eyeglasses. Instead, smart glasses just need to replace ordinary eyeglasses. Give people to chance to magnify their lenses to see far away without the need for binoculars. Then let them change the magnification to read up close without clumsy bifocals. The obvious need for augmented reality glasses is to improve eyesight better than physical lenses can do. Once augmented reality startups realize they need a purpose for their technology, perhaps they wouldn’t waste so much time and money flushed down the toilet for no purpose. Too many startups come up with technology and then search for a way to use it. It’s far better to identify a solution and then create the technology to achieve that solution. Obvious, but not to startups. Until people realize technology must solve a pressing problem faster, cheaper, or better than existing technology, we’ll continue watching startups failing as they ignore the obvious fact that technology must offer a clear, compelling solution. The first augmented reality company that can achieve this will be the leader and everyone else will fall by the wayside. To read more about the failure of augmented reality startups, click here.